Megaro Gyzi festival 2017 finishes today with a music performance. 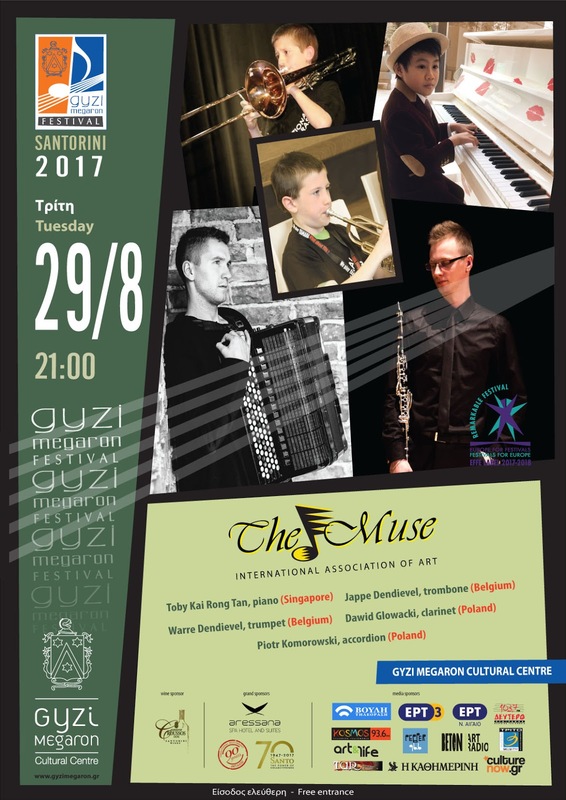 The five young winners of the eMuse Online Music Competition 2017, one from Singapore (piano), two from Belgium (trumpet, trombone) and two from Poland (accordion, clarinet), are in Santorini to give an unforgettable performance tonight. After the short award ceremony, they will present their musicality and technical skills! At the Gyzi Mansion in Fira, at 21.00. Free entrance.